Austria’s Identec Solutions, a provider of long-range commercial RFID-based applications, has announced its selection to provide truck identification and access control solutions for the Australian port operations of DP World, one of the world’s largest container terminal operators. Identec will work with RAMP, a Sydney-based system integrator, to deploy active RFID-based solutions at several ports throughout Australia. The tracking and identification systems will include long-range tags, readers and integration software. The first deployment, at Sydney’s Port Botany terminal, has been completed, and will be followed by deployments at sites in Freemantle and Brisbane over the next six months. 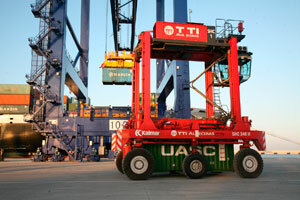 This contract represents an expansion of the relationship between Identec and DP World. The container terminal operator had previously contracted with Identec for another major RFID-enabled gate automation solution.